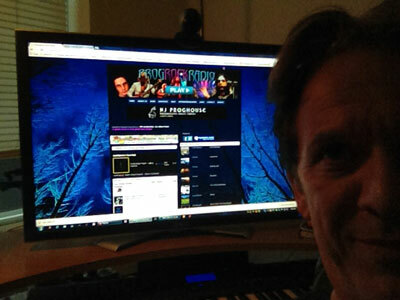 ProgRockRadio.com was started as a hobby by Anton in 2004. We offer a select choice of melodic, symphonic, and psychedelic or art rock for listeners all over the world. As most of you know, the broad genre of progressive rock encompasses many different types of rock music. We have chosen to narrow it down a little. In doing so, we chose not to play much (if any) of the heavier sub-genres of progressive rock (prog metal, etc). Also, unlike some other "progressive" rock radio stations, we don't play very much traditional "Classic Rock". As much as we like Classic Rock, we feel there are enough internet and FM stations that offer that music. Importantly, we also embrace the Independant Artist, we know how hard it is to be heard and include music from many lesser known Artists in our playlists. Here at ProgRockRadio.com we also try to accomodate listener requests and I think you'll find that if the requests fall within our liking, we usually accomodate what you requested. We respect the artists and record labels and pay Live365.com to stream our music, and they pay royalties to the artists through various organizations. ProgRockRadio is a non-profit internet radio service. No one gets paid and we run this station from our own personal time and money. We do offer some advertising (banner ads on our site) and accept donations, and the few dollars we get from that are used to maintain equipment or buy new music. We humbly thank all that have donated to this station. This station is dedicated to all the wonderful artists making great music all around the world. General information on progressive rock can be found here: ProgArchives.com. Check out PROGROCKRADIO on myspace.com. Peace, love and good music! Anton and the ProgRockRadio team.